What Is Under Mr Green’s Hat? This review is going to sound biased. It’s going to sound as if I’ve been paid to review the casino by Mr Green himself. I haven’t. It’s just that it truly is one of the best casinos I’ve played at, and that’s no exaggeration. This rave review shouldn’t come as too much of surprise to those of you that either play at the casino, or that keep a close eye on gambling/casino news. This year they were voted “Best Mobile Casino in the World 2016” at the International Gaming Awards (IGA). So yes, you can see from the evidence that you can expect good things from Mr Green. A spectacular welcoming screen bodes well..
Mr Green has a fantastic range of games, and there’s something for everyone. Personally, my favourite part of the site is the slots, and in particular, the progressive jackpot slots. They’re so much fun that I spent around 3 hours playing them without getting bored once – not bad for a deposit of £10. • Slots: as I said before, there’s a huge selection of slots. For me, the best slots are those with the most lines: ‘Crown of Egypt’ has 1024 lines, and that’s my favourite of them all for now (probably because I recently won £47 from a £1 bet). The slots providers range from cutting edge designers like Gensis, Odobo and Betsoft to tried and trusted game providers like the giants IGT, NetEnt and Play’n Go. There are literally hundreds of the latest slots games, too many to count, with more added every week. There’s something for everyone at the slots. If you prefer traditional fruit machines, they’ve got you covered. If you want an adventure, same thing again – you’re covered. If you don’t have a lot of money to play with, that’s cool too, because some of the slots, such as Tiki Wonders, allow you to play from as little as £0.01 a spin. • Live Casino Games: they have a great selection of live games. Easily the biggest choice of live casino games that I have come across. One of the things I liked about this is that I was playing with other people. They have their own online chat section, so you can talk away and ask questions if you want to. It adds a slightly social element to things, and that makes a nice change from the slots. Some of the games do require you to have a bit of knowledge of the rules already. For example, if you want to play any of the poker games (Caribbean Stud, Hold’em) you do need to know how to play them if you want to place a workable/wise bet. It adds a degree of skill to your gambling, which you don’t get with the slots. My favourite Live Casino Game was “Mr Green Exclusive Roulette”. It was great fun and at one point I accidentally placed a £1 on ‘0’…it came in! I won a decent amount of money, but it’s worth noting something about these live games: if you make a mistake, you have a very limited amount of time to take it back before the bets are locked. Although, this isn’t anything specific to Mr Green. It’s also worth noting that mistakes like the one that happened above are more likely on a touchscreen. If you accidentally hit the bet button (which I did). • Sports Betting: they have everything that you’d expect from an online casino offering sports betting: there’s live betting; they follow the largest tournaments from around the world – right now, they’re offering odds on World Cup qualifiers; and they offer a good selection of sports and bet-types. They cover an amazing range of sports, from Bandy (What the hey is that? It’s like a cross between hurling and ice hockey. Invented in London interestingly enough, but most popular in Sweden and the US) to E-sports, as well as all the usual (Rugby, Football, Tennis, Boxing, Horses, Snooker, WWE, Yachting). They also have “Politics” listed under sports. I found that a bit annoying, but just because I really wanted to place a bet on the US elections, and I didn’t notice they had it until after I’d cashed out. Speaking of cash outs, the wins at Mr Green are fantastic. I started out with just a tenner, and by the end of the night, I had £65. Yeah, sure, that’s not how gambling works and I just happened to have a good night, but still, that’s much higher than I manage with other casinos. I had big wins on two or three of the slots, and on the Blackjack, everything else just kept me ticking over. They have a return to player rate of between ~90% and ~97%. This varies from game to game, so do check it out before you play. The return to player rate definitely feels very good, and like I said, I managed hours and hours of fun from just a small deposit of £10 – that’s what gambling’s all about…or at least, what it should be about (Preach!). I can’t fault their customer services. They were awesome with me. The first session I played was late on a Saturday night. After about an hour of play, I made the aforementioned mistake of putting that £1 on the ‘0’. It said I won £18, but then the money didn’t appear in my account. Well, as I’m prone to do, I got a bit ragey: “they’re just trying to steal MY winnings!”, “bet it never crashes when you lose all your money”, “whine, whinge, moan”. Of course, I was expecting a typical company: you can’t get hold of them for days and when you do, you can’t make sense of anything because no one knows what they’re doing. It wasn’t like that at all. I found the live chat link, opened it up, wrote out my issue, and I was connected to “Kirsty” within 2 minutes. She looked into it, told me that she could see the win (phew! ), and told me that I needed to clear my cache and log back in. I did that and my money was in there! Their online help was live, fast, and efficient. In the online casino industry, these are the three key ingredients needed for a decent customer services. Mr Green is available on both mobile and desktop platforms. Not only this, but unlike many other casinos, their mobile casino is almost identical to the desktop platform. This is a massive bonus and it comes as no surprise to learn that they won “Best Mobile Casino in the World 2016”. 1. Some of the games aren’t available on Android because Android doesn’t support Adobe Flash Player. I only found one affected game: the progressive jackpot slot, “Mega Moolah”, but there could be more. This really isn’t so much a criticism of Mr Greens, but more to do with Adobe and Android, who, for whatever reason, won’t get their act together. 2. Some of the games were a little slow to load. I had problems with the game “Bloopers”. It wasn’t too much of an issue, but it didn’t load the first time and I had to reload. After that, I didn’t experience any issues with the game. 3. There are only 4 progressive jackpots. OK, so that sounds spoilt! On the desktop version, they have 12 progressive jackpots. When I first accessed the site, I used my tablet, so I was none the wiser that there were any more. It was only once I moved to the desktop site that I realised there were 8 more jackpots. This was the only way that I realised that the mobile and desktop sites were any different. Aside from this, you really can’t tell. In case you’re wondering, the reason there are issues with one or two games is simply because they use different game companies for their casino games. Clearly, they all have slightly differing technologies and this means the games don’t always act in the way they’re intended to. You can definitely tell the best designers from the worst. • Auto play: They have loads of really cool features that you pick up along the way. My favourite one was their auto-play settings. Again, these varied from game to game, because of the different designers, but they all offered me what I wanted, which was to sit back and watch as the reels spun. There are loads of different settings within auto-play, so you’ll have to play around with it to find your perfect combo. Mine was 50 spins that stop when you lose more than £10; at one point, I walked away from the computer with ~£39 and came back and it was at ~£67! • Hassle free withdrawals: It only took a couple of minutes to complete the process, and they don’t make you jump through hoops, which is hugely refreshing. • Fantastic graphics: does this count as a feature? I think it does, because it enhances the feel of the play. The entire site looks brilliant. You get the feeling that you’re playing on a casino that really understands its users and that knows exactly what they’re doing. I think that fits with my experience of the site too. • Brilliant bonuses: they always have bonuses on offer, and it massively extends the time you can spend on the site. As well as this, the games tend to offer their bonuses up at a faster rate than other online casinos seem to offer. In 3 hours of play, I won around 60 free spins on various slot games. When I checked their payout rates it confirmed what I though – Mr Green has some of the highest payouts of any online casino. Finally, one thing I really liked about Mr Green is their reminders to choose betting times. While you can opt out of doing this, the very fact that they’re reminding you to consider whether or not you’ve been playing for too long is great. I think that if you have that additive personality, a little nudge like that can stop you from making expensive mistakes. I haven’t seen this at other sites, but one thing I found interesting is that they claim they have staff on hand that can help people deal with their problem gambling. I think that’s a fantastic touch, and it helps to bolster trust in this online casino. Online casinos are probably one of the least trustworthy types of website you can think of, so every little way that they can instil a bit of trust works very much in their favour. 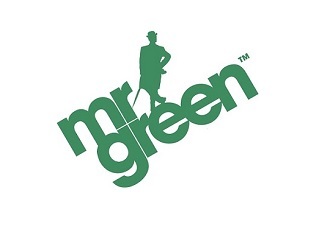 With the great pay rates, the incredible selection of games, the care they take to cater to both mobile and desktop users, and the way they seem to care about their customers (fantastic customer services & staff trained in gambling addiction) Mr Green feels particularly trustworthy, and in turn, that makes me like their site even more. This is definitely my favourite online casino to date and I understand exactly why they’ve been winning awards.